Summary: Leaving fans “practically [begging] for a sequel” (Bookpage), critically acclaimed author Kristy Woodson Harvey returns with the second novel in her beloved Peachtree Bluff series, featuring a trio of sisters and their mother who discover a truth that will change not only the way they see themselves, but also how they fit together as a family. 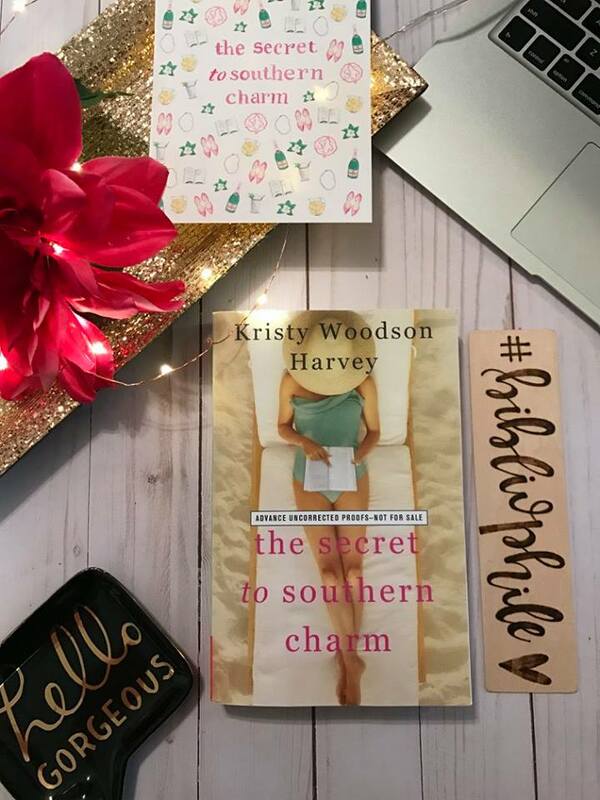 Am I the biggest Kristy Woodson Harvey fan in the world? I like to think so after LOVING Dear Carolina, Lies and Other Acts of Love, Slightly South of Simple and now The Secret To Southern Charm. 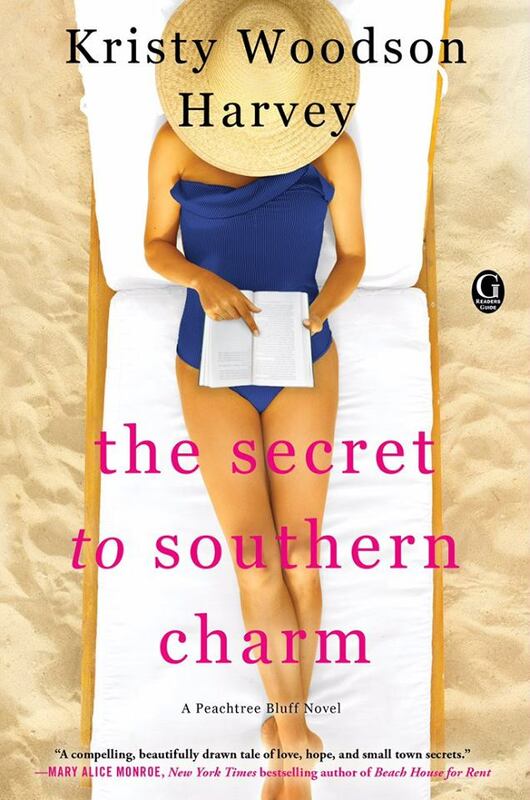 The Secret To Southern Charm picks up where Slightly South of Simple left off and we are all up in the middle of some Peachtree Bluff drama. How real Sloane was. Yes, she was a basket case. Yes, she did some overindulging in shopping therapy. While I am not a military wife or girlfriend- I, once upon a time, dated someone that was no longer in the military and often talked about going back to enlist again and while I encouraged him to follow his dreams- it did cross my mind as to how I would handle him being away, overseas, putting his life in danger. So, Sloane to me was real. She handled things in the best way she knew. The letters between Adam and Sloane. The written word always makes me feel warm and fuzzy and I could see Sloane clinging to them and her children while waiting for news. The cover. Well actually both covers. I loved the original one, but now I even like the navy blue bathing suit SO. MUCH. BETTER. More eye-popping! The sisters. I love Caroline, Sloane and Emerson. Love their fights, how they support each other. They are the cat’s pajamas when it comes to sister relationships. Bottom line: If this book is not on your spring or summer reading list- you are missing out! Thank you SO much for all your support of me and my books- means the world to me!